Lichen planus is a fairly common condition that affects the oral mucosa. This idiopathic condition is believed to be an immunologically mediated. 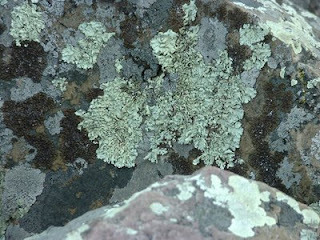 The name likely comes from the appearance of the lesion which resembles that of a lichen. A lichen is a symbiotic organism composed of an algae and fungi. There are medications that may induce a reaction in the oral mucosa that appears like the idiopathic form of lichen planus. The medication induced form of the this condition is referred to as "lichenoid mucositis" or "lichenoid dermatitis". Lichen planus can cause skin lesions as well as oral lesions. Skin lesions are usually purple, pruritic, polygonal papules. Skin papules may exhibit Wickham's straie (lacelike network of white lines). 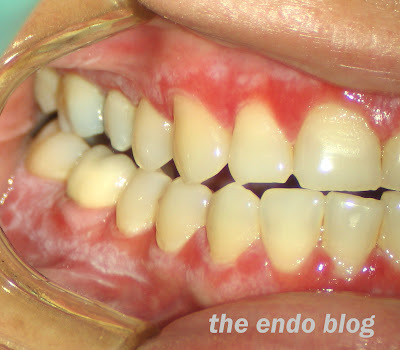 Oral lesions may be reticular or erosive. Reticular lichen planus is most common. It usually causes no symptoms. Wickham's straie are seen throughout. The lesions may "wax and wane" over time. 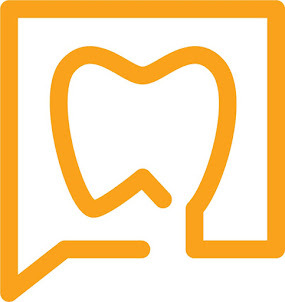 It is commonly seen in the buccal mucosa, but also seen in the tongue, gingiva, palate and vermillion border. Appearance of reticular lichen planus in oral mucosa. Erosive lichen planus is more symptomatic. It appears as atrophic, erythematous areas with ulceration. 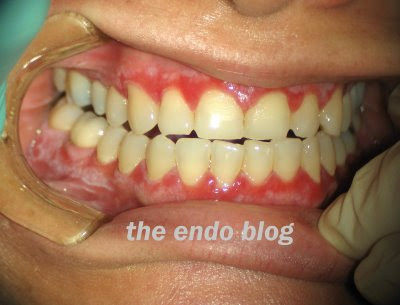 White straie are also seen in the periphery of the lesions. Diagnosis can usually be made on clinical findings alone. No treatment is usually recommended for reticular lichen planus. Antifungal therapy can be helpful if a candidiasis infection occurs. Erosive lichen planus is usually treated symptomatically with topical corticosteroids and frequent follow up care. The malignant potential of lichen planus has not been resolved. If the possibility for malignant transformation exists, it appears to be small and associated with erosive lichen planus. Interlacing white lines, known as Wickham's straie are the characteristic feature of lichen planus. Thank you for your insight. I have been suffering with LP for the last 4 years and it also started in my body, but now I still only have it in my mouth.